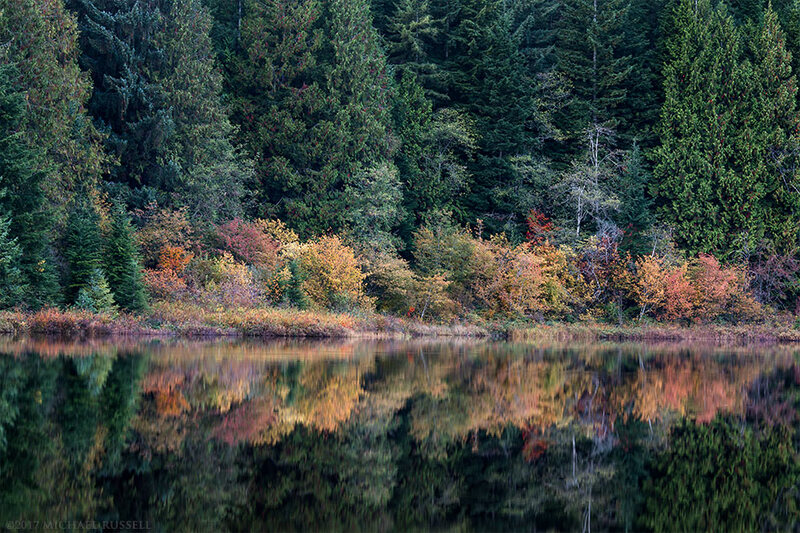 Fall foliage reflecting on Rolley Lake at Rolley Lake Provincial Park, Mission, British Columbia, Canada. 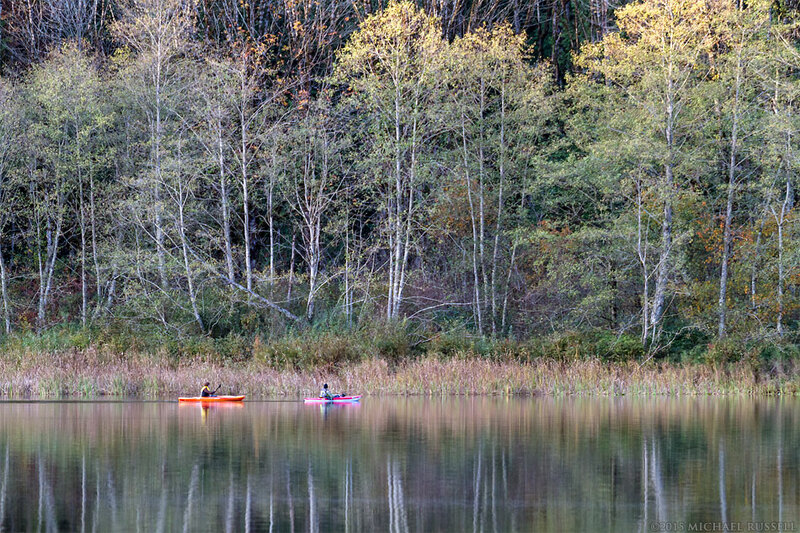 I enjoy walking around Rolley Lake in Rolley Lake Provincial Park at any time of year. Fall is my favourite time though, and this is one of my favourite lake views from the loop trail around the lake. 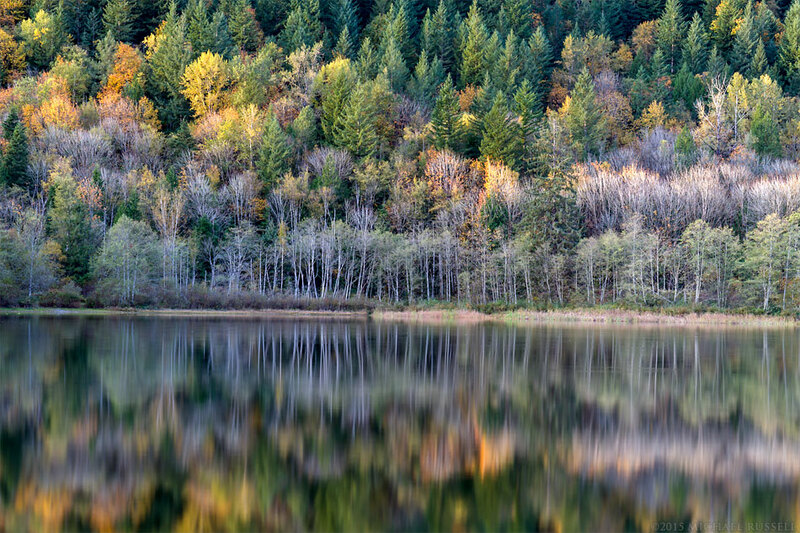 I have photographed this view before, but this year the fall foliage was a big nicer and the reflection on the lake was a bit clearer. 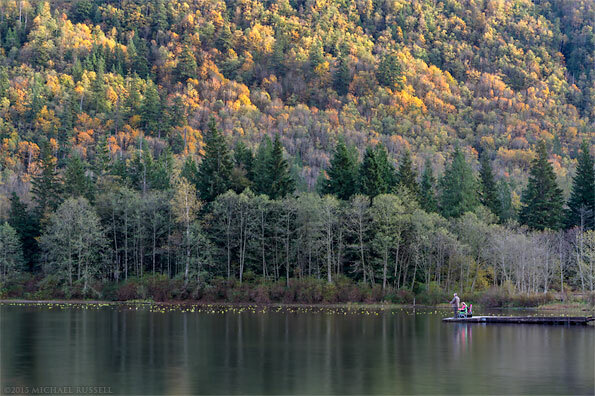 The light from the sky was a bit dimmer as well, as this was not long before the sunset. Some of you will recognize this first photograph from my 2018 Calendar but you’ll have to wait to see if it appears in my “top 10” of 2017. I also liked this view of a lone, red, Vine Maple (Acer circinatum) in the forest along the lake. 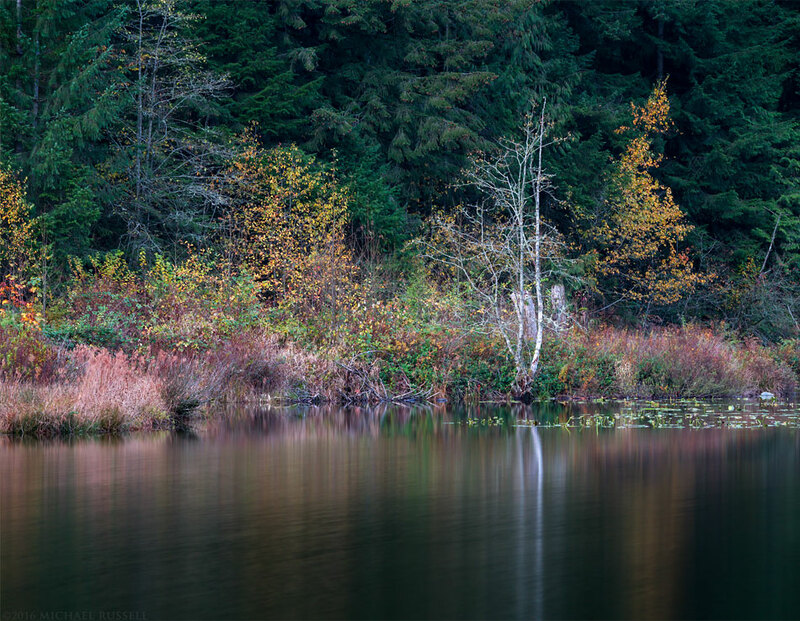 I watched for good Vine Maple colours during my walk around the loop and noticed this tree, but it was surrounded by shrubs and trees and off the trail. The lake also wouldn’t have provided a decent background to photograph it anyway. 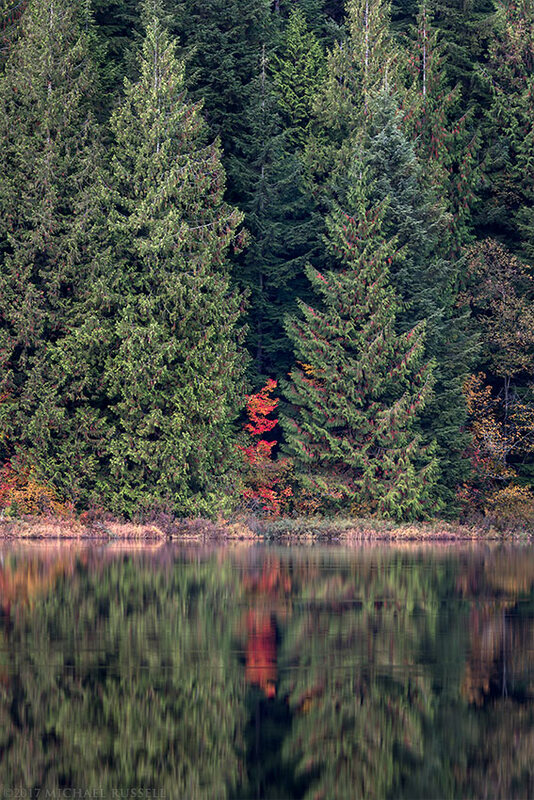 From this perspective though (from the beach), the red leaves show up nicely against the darker colours of the surrounding forest. A bit of a reflection is always nice too. 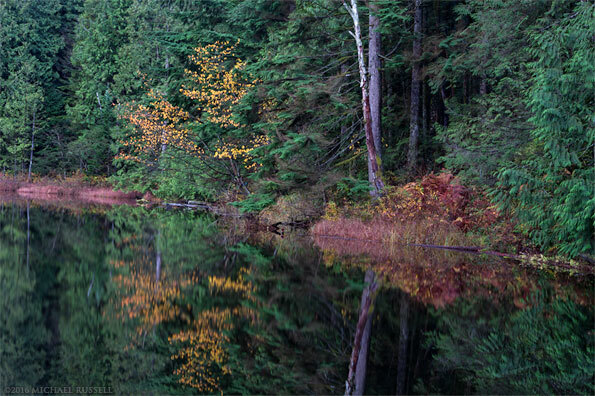 Visit my Rolley Lake Provincial Park gallery in my Image Library for more photos from this park. 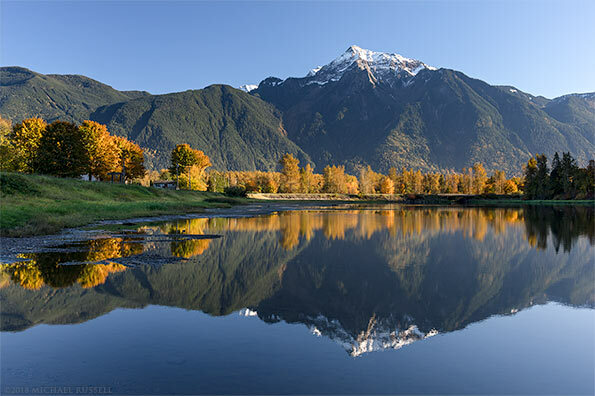 Mount Cheam, fall foliage, and the Fraser River in Agassiz, British Columbia, Canada. 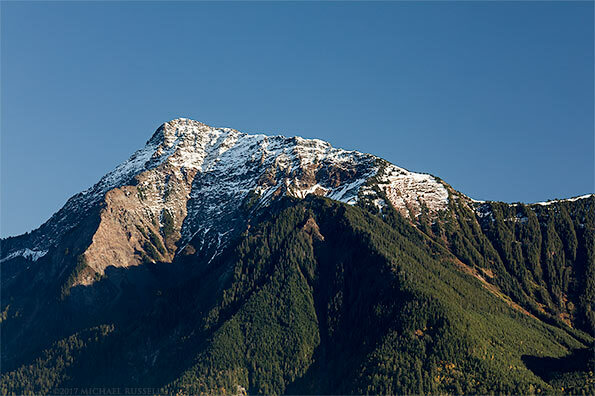 Mount Cheam is a familiar sight to anyone who drives through almost any part of the Fraser Valley and looks towards the east. 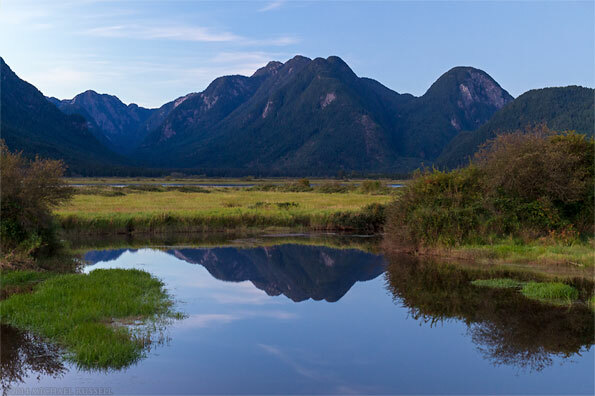 Once you reach the eastern sections of Chilliwack Cheam really starts to command your attention in the sky. I’ve photographed Mount Cheam and the Cheam Range from a number of locations but I always thought there just had to be some way to get the Fraser River, or any river really, in the foreground. 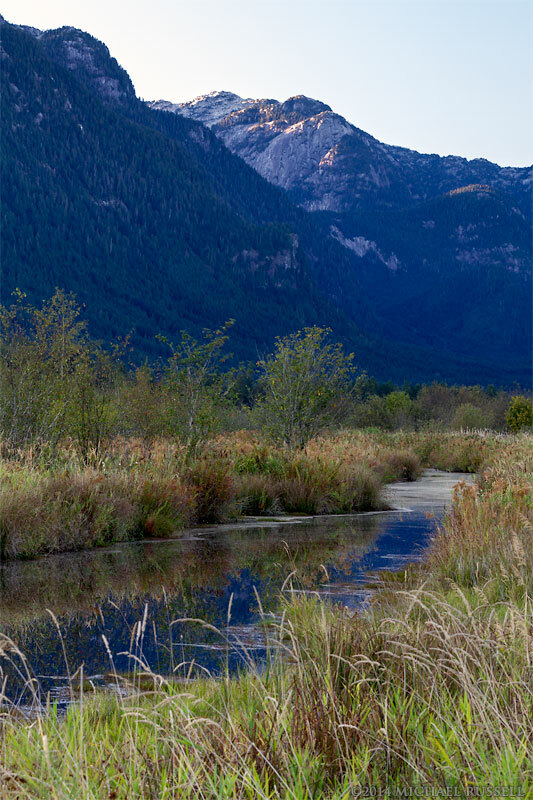 During one of my trips deeper into the valley this fall I decided to turn onto a side road I’d passed on many occasions heading towards Agassiz. Turns out, this was pretty much the sort of location I was looking for. 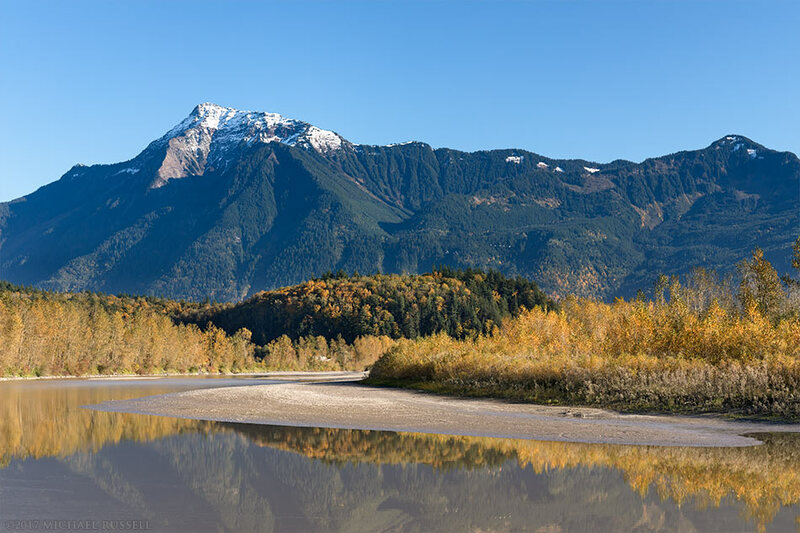 The photograph above (also the cover photo of my 2018 Calendar) has all the elements I was looking for: Mount Cheam, the Fraser River, and some good fall foliage colors! Most of the trees providing fall foliage along the banks of the Fraser River here are Black Cottonwood (Populus trichocarpa). 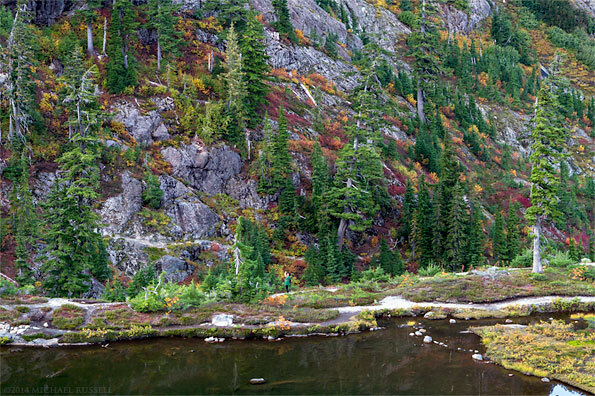 The colorful trees on the hill in the middle of the photo are predominantly Bigleaf Maples (Acer macrophyllum). 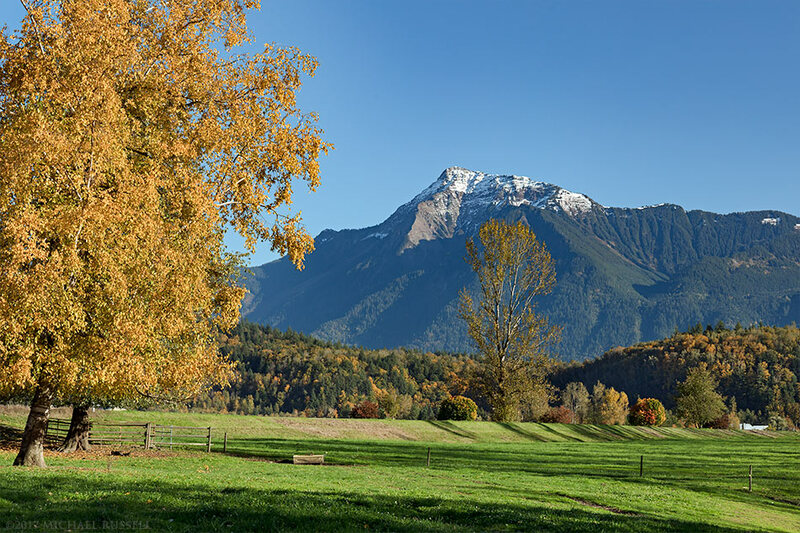 The area I found with new (to me) views of Mount Cheam in Agassiz is mostly farmland. I’m sure on a return visit there are some good views with a barn in the foreground, though the more southern part of Chilliwack has many of those opportunities as well. 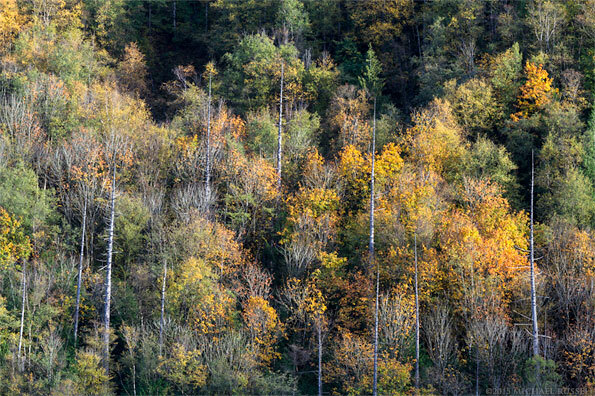 I had been heading to Harrison Hot Springs after photographing the first location, but saw the fall foliage provided by these two Paper Birch (Betula papyrifera) trees and had to pull over again for a few more photographs. I am looking forward to visiting this spot in other seasons to see what it has to offer in different conditions. 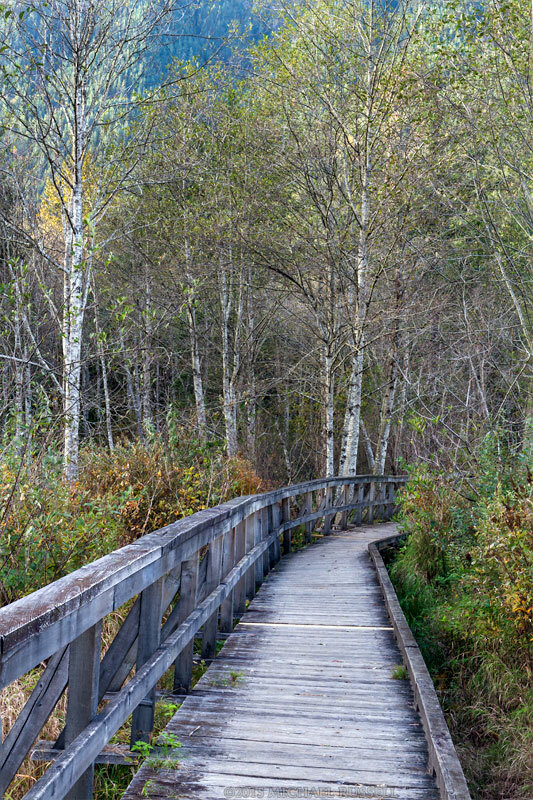 Visit my Fraser Valley gallery for more photographs from this area and more. 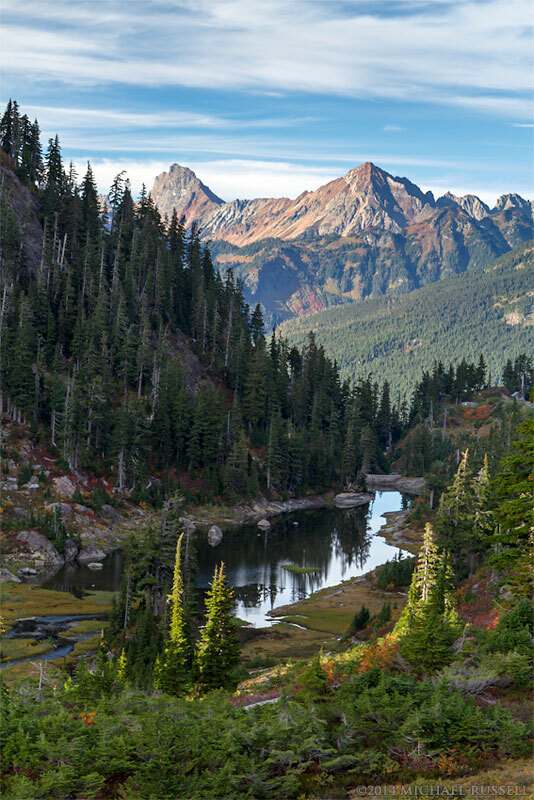 I made a number of photographs in the Heather Meadows area of the Mount Baker-Snoqualmie National Forest in Washington a few weeks ago – too many for one blog post. So, these are the images from Heather Meadows showing some of peaks of the North Cascades looking north. 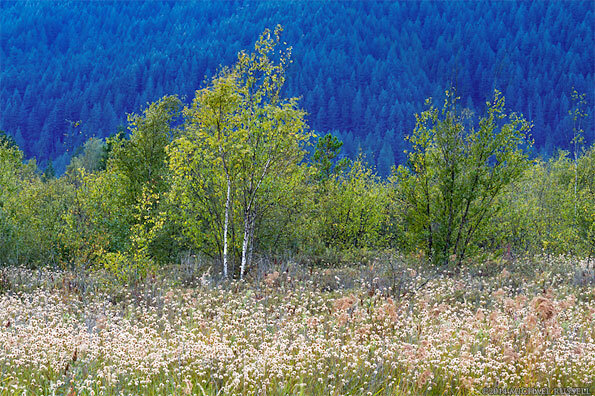 I’ll follow up with another blog post showing some different details in the Heather Meadows area soon. 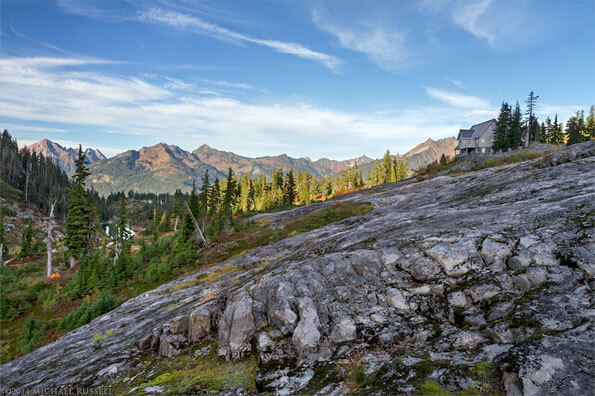 Driving up the Mount Baker Highway (SR 542) brings you to the Mt. Baker Ski area, and then to the Heather Meadows Visitor Center Parking lot. 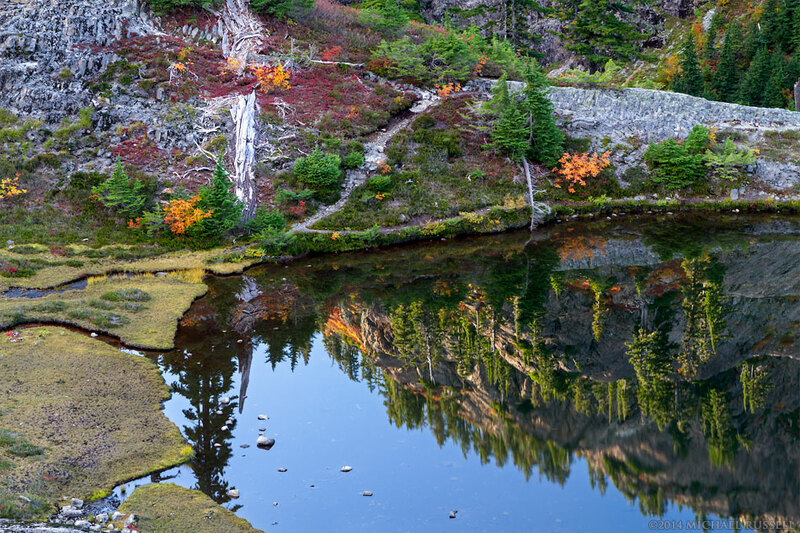 From there a short walk will give a great view of Table Mountain, the Bagley Lakes, Austin Pass Lake and the North Cascade Peaks to the north. The above photo shows Mount Larrabee above Austin Pass Lake. 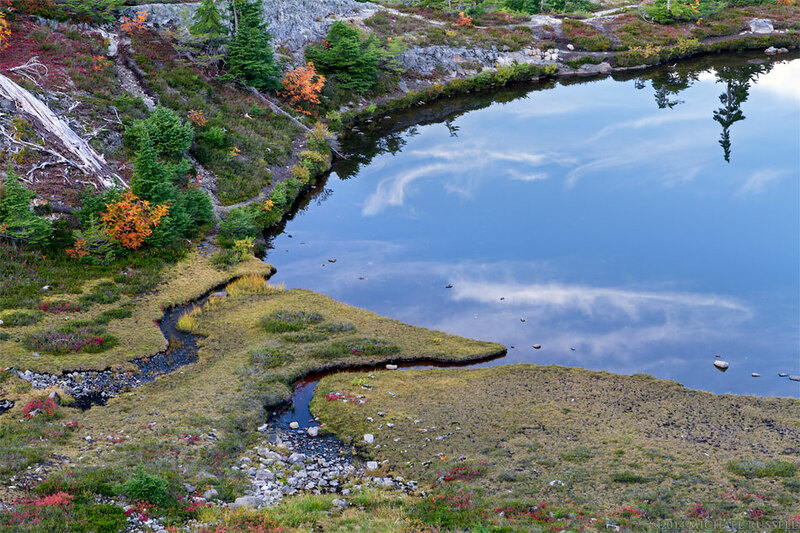 My visit was in early October and the fall coours in the Mountain Ash, Mountain Heather and Blueberry bushes were better than I had seen before. 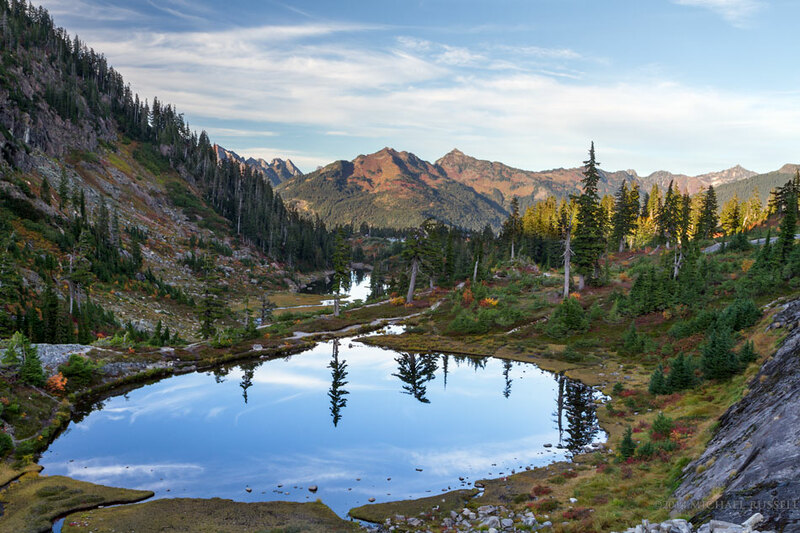 This view of the Bagley Creek/Bagley Lakes in Heather Meadows shows Mount Larrabee as well as some of the more dramatic American Border Peak to the west. On the way into the parking lot at Heather Meadows one passes this picnic table in the Austin Pass Picnic Area with an excellent view of Canadian Border Peak, Tommyhoi Peak, American Border Peak and Mount Larrabee. This is a view of the Heather Meadows Visitor Center from the Bagley Lakes trail. As this area is quite near to Mount Baker itself, there is a lot of volcanic rock of various forms around the area. Viewing the larger version of this photograph you can see the top of some Andesite columns. There are many other columns to view in the area especially on the Mt. 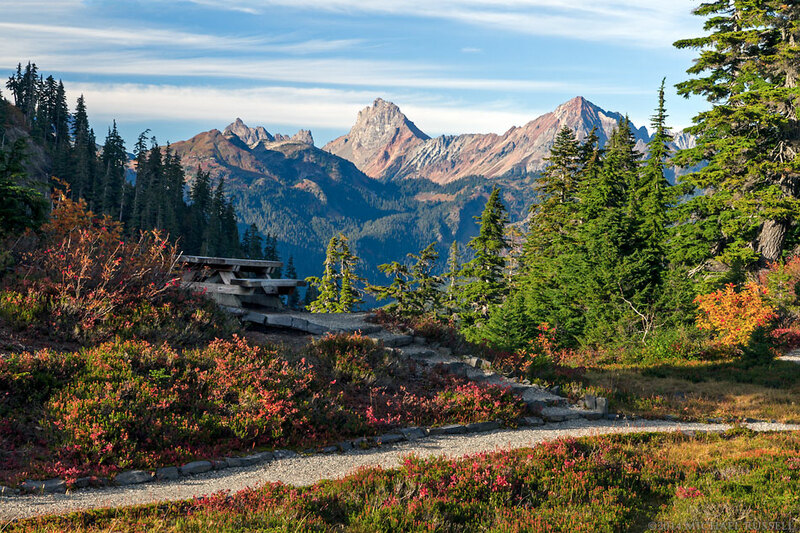 Baker Highway between Heather Meadows and Artist Point.